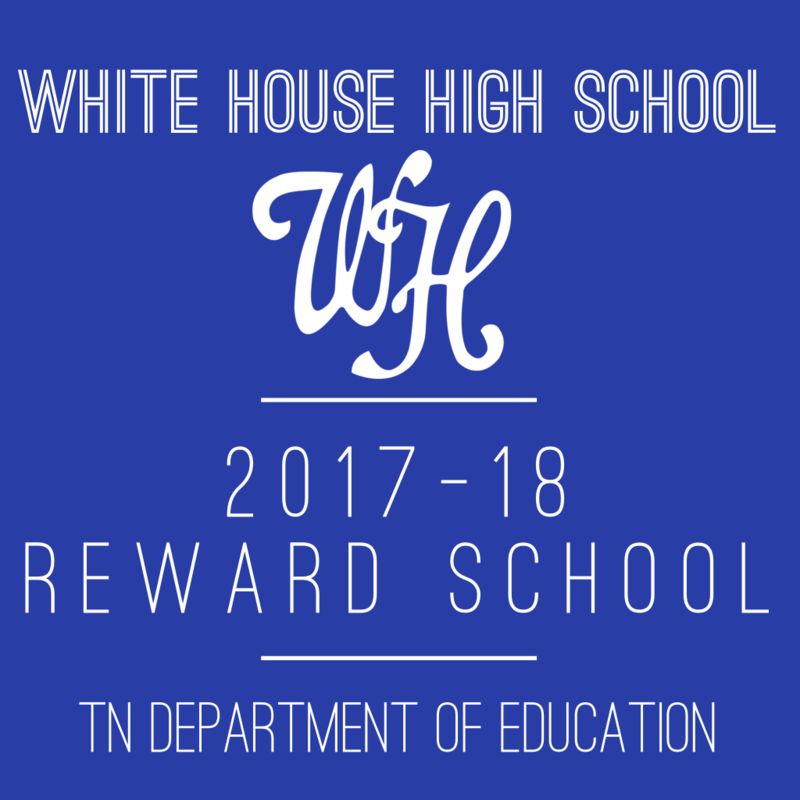 GALLATIN – White House High School was named one of nine Sumner County schools as a Reward School for 2017-18 in the Tennessee Department of Education. A Reward School is recognized for academic achievement and growth, and there is no limit to the number of schools honored across the state. However, only approximately three percent of high schools were named to the list. 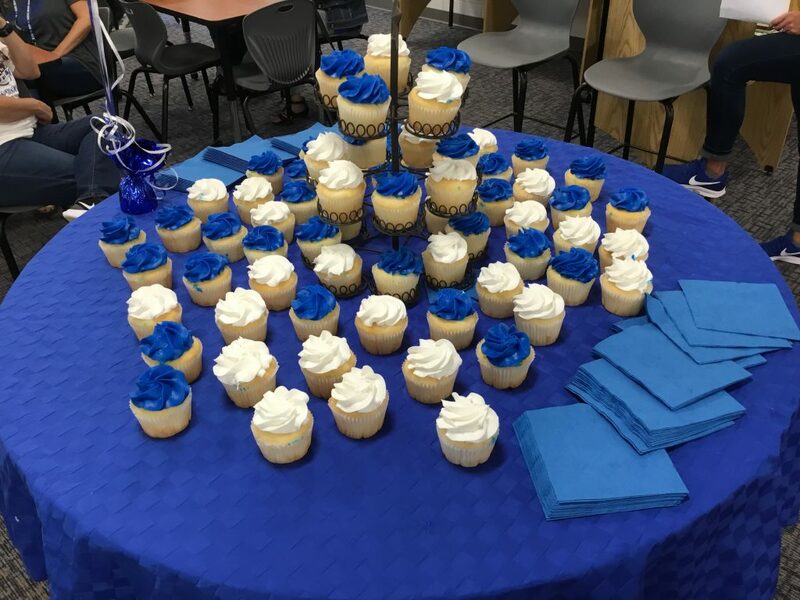 A Reward School is determined by a school’s overall achievement score, overall growth score and historically underserved student populations (students with disabilities, economically disadvantaged, Black/Hispanic/Native American, and Black African-American). For high schools, it also includes chronic absenteeism, graduations rate, college readiness and extra postsecondary opportunities. 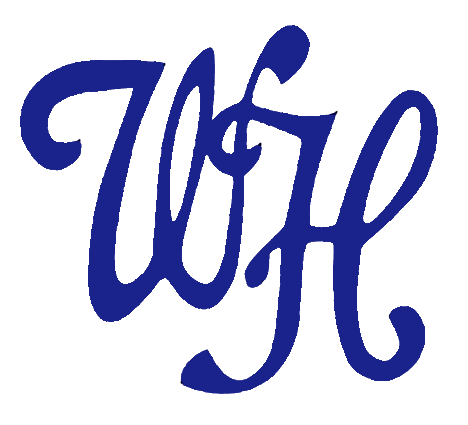 White House High School offers a variety of advanced placement, dual enrollment and industry certifications. 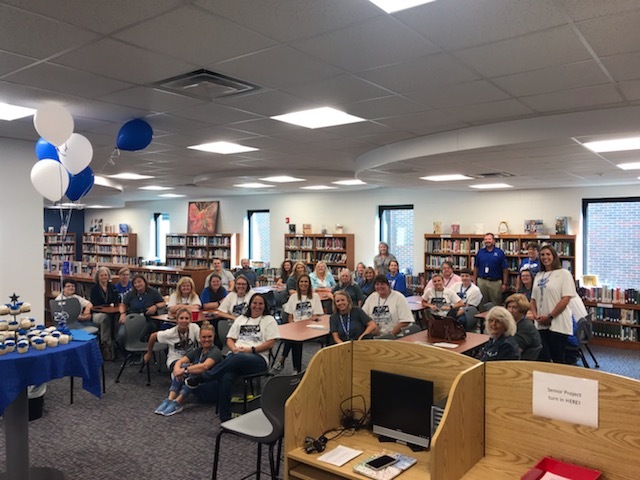 White House joins Westmoreland and Beech High School, along with Oakmont Elementary, Lakeside Elementary, Nannie Berry Elementary, Station Camp Elementary, T.W. 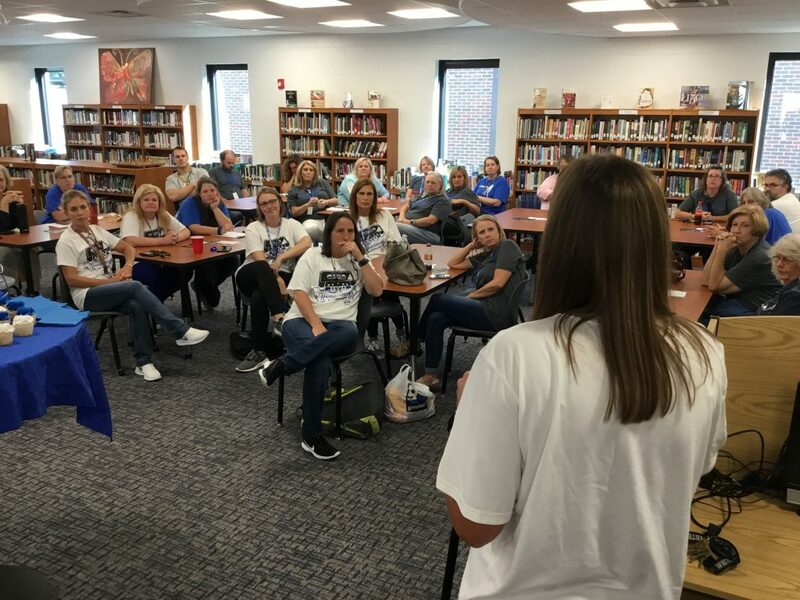 Hunter Middle School and Merrol Hyde Magnet School in Sumner County to make the list. It was the first time White House High School was named to this prestigious list. White House has 851 students and approximately 80 staff and employees. 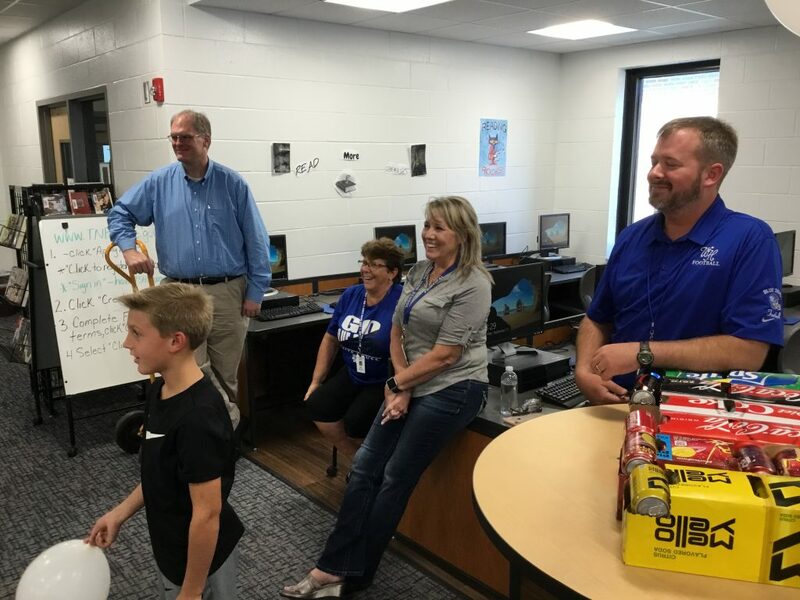 Lynne Hall teaches math at WHHS and is the lead educator for the school. She has been at White House for 19 years. 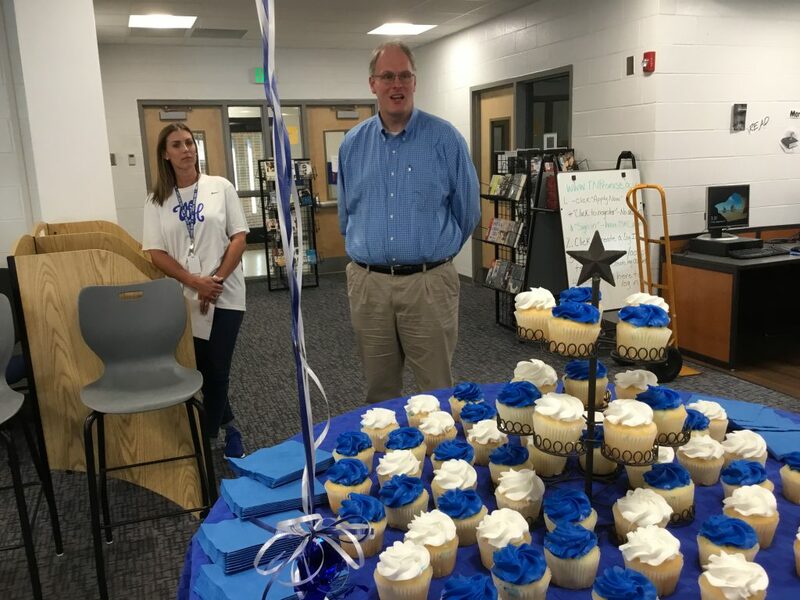 The faculty and administration of WHHS joined Principal Miller for an announcement Friday after school in the library, including Sumner County Board of Education member Ted Wise, who lives in White House and has served on the board for 10 years. 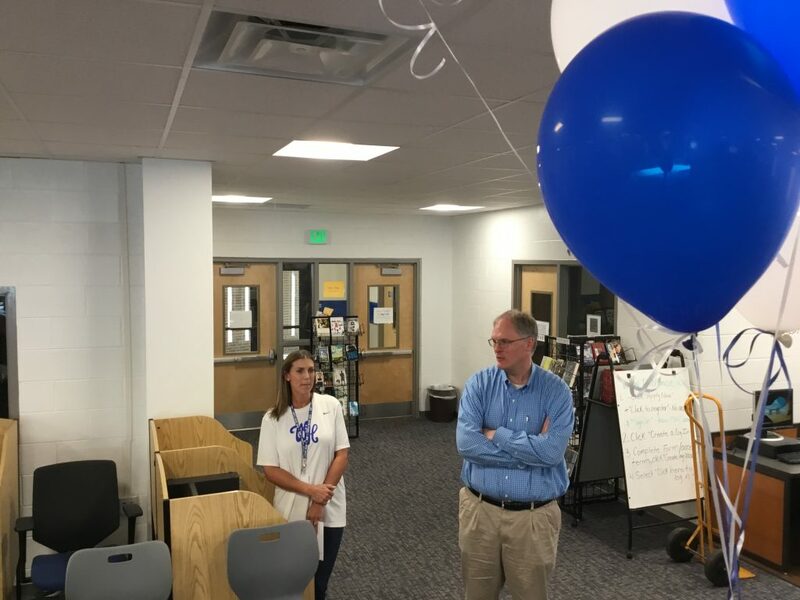 Scott Langford was also in attendance, after transitioning from his role as the principal of WHHS to the assistant director of schools for Sumner County this fall. 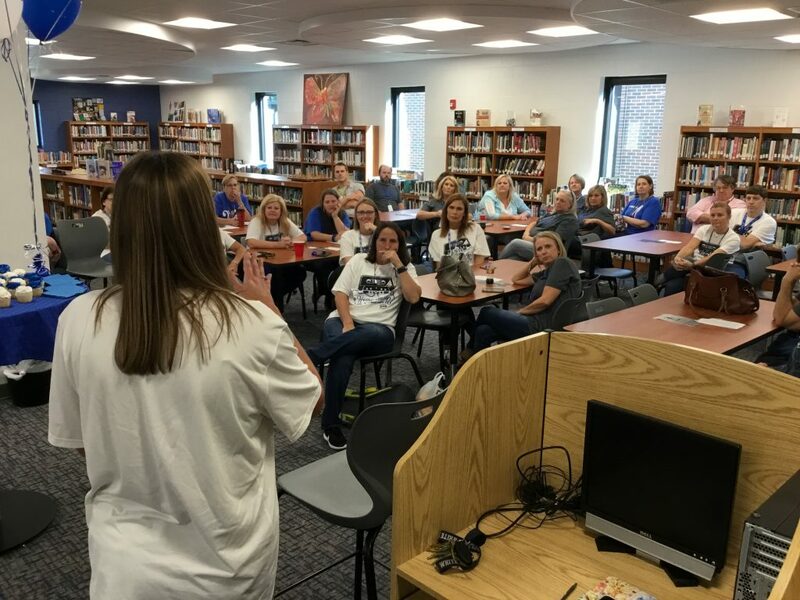 Jessica Watson teaches AP government and economics and this is her eighth year at the school and she serves as a teacher leader. 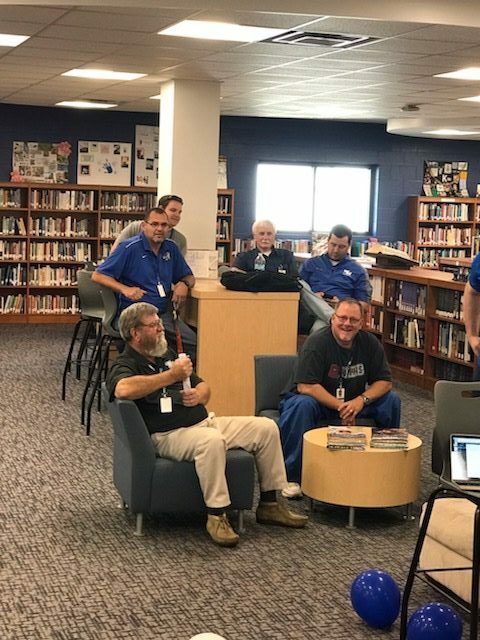 “I have always felt pride in being an alumnus and teacher of White House High School, so the fact that we are being recognized as a Reward School makes me even prouder,” Watson said. 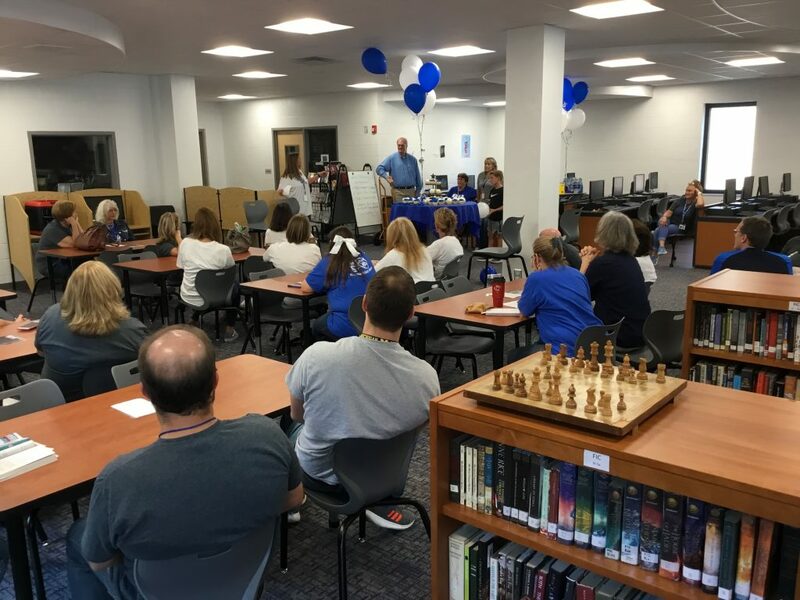 “The amount of hard work and dedication our students have put in over the years is now noticed by the entire state. 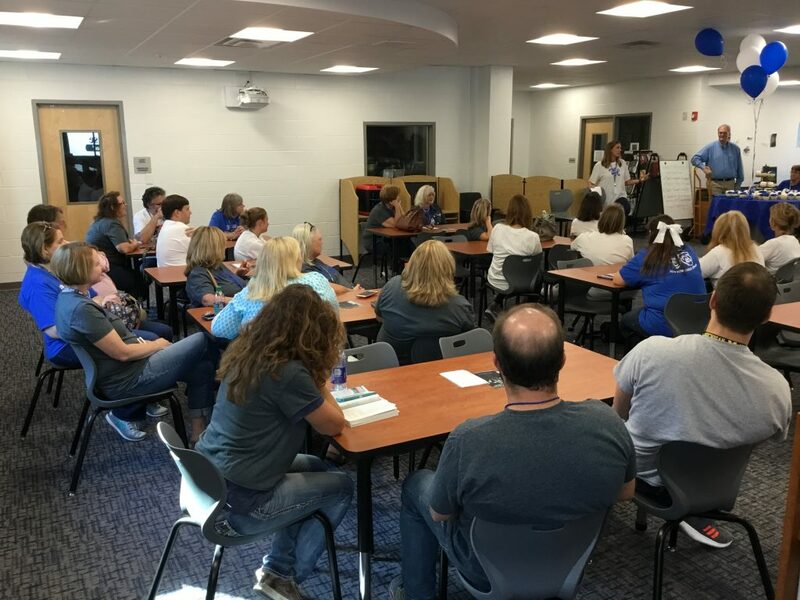 In accordance with Tennessee’s accountability system, as well as federal and state law, the Tennessee Department of Education names schools that are excelling as well as who need additional support.